What can your honeymoon budget get in 2016? My Vacation Lady is an award winning honeymoon travel agency and we work with a lot of honeymooners planning their dream honeymoons. Every so often, a honeymoon couple will contact us after being referred by friends or who found us on Wedding Wire or the Knot and ask for help planning their dream honeymoons and we know, after our in-depth honeymoon consultation, that they honeymoon budget doesn’t meet their honeymoon dreams. When are you planning on traveling? If you are going to the Caribbean in March, it will be a lot pricier than going in September. If you are heading to Greece in August, it will be more expensive than in May, June, September or early October. If you are going to Bora Bora in July, it will be more expensive than going in May or November. Where do you want to go? There are some destinations that will be pricier just due to the cost of airfare. Some Caribbean islands (like St Lucia, Antigua, Barbados and Aruba) are pricier than Jamaica or the Dominican Republic. Do you know the expression—location, location, location? Well, Italy will be more expensive than Spain or Portugal (for the most part). The Greek Islands will offer a better value than the Amalfi Coast. Bali is a reasonably priced option for a combination of gorgeous beaches, adventures and culture if you can deal with the long flights. How far in advance are you going to book your honeymoon? We usually recommend at least 6 months ahead to get the best availability. When we were working on a honeymoon to Greece for early August and are having trouble finding availability at some of our preferred hotels, 3 months out. Many of the hotels in the Tahitian Islands offer an early booking discount that must be booked at least 4 months prior to departure. We were able to save clients a good deal of money in Greece with Early Booking Pricing but those special rates were only valid if you booked before the end of March. What type of experiences are you looking for? If you want lots of activities and excursions OR if you want to include a couple’s massage or honeymoon package, your prices can vary based on what you want to do, see or experience. Let’s look at some real honeymoons that My Vacation Lady designed for our clients in 2016? In February, Brad and Kathleen spent 7 nights in a 4+ star adult only all inclusive resort in a concierge level junior suite with rooftop jacuzzi in the Riviera Maya , with a great honeymoon package + airfare from the East Coast, round trip airport transfers and travel insurance. In October, Sonia and Chris will spend 4 nites in a 4+ star all inclusive beachfront resort in the Guanacaste region of Costa Rica, 4 nites in a casita in a 5 star property in the volcano region with an ATV tour, zipline tour and rapelling down a waterfall tour. This included airfare from Baltimore and all transfers. 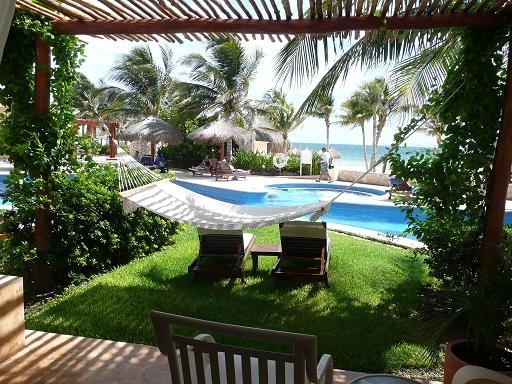 Jessica and Mike spent 8 nights in a 5 star adult only all inclusive resort in Playa Mujeres, Mexico in a concierge level swim up junior suite with airfare from NYC and travel insurance in January. What if you upped your budget to closer to $7500. What can you get? Risa and Bill honeymooned in March and spent 5 nights in a 4+ star resort in Maui with an ocean view, bike excursion, luau, flight to Kauai for 6 nights in an ocean view room at a 5 star resort with a snorkeling excursion with cars in both islands, inter-island airfare and travel insurance. They used miles for their flights to and from Hawaii. Emily and Jason will spend 8 nights in an adult only all inclusive resort in Playa Mujeres in a concierge level 2 story suite with a private pool on your rooftop terrace, great honeymoon package, private transfers and first class airfare from the east coast with travel insurance, in late May. Corey and Lauren are honeymooning in June for 7 nights in a butler level suite in a 5 star adult only all inclusive resort in Antigua with airfare from NYC and travel insurance. Alexa and Ron are heading to Hawaii in July and will spend 5 nights in a 4 star resort in Waikiki with breakfast daily, including a luau, flight to Kauai, 5 nights in a partial ocean view room at a 5 star resort with a zipline excursion, snorkeling excursions, cars in both islands and travel insurance. Dan and Kaitlyn will be honeymooning in July for 7 nights in Turks and Caicos in a 1 bedroom ocean front suite in a 5 star resort with breakfast daily, a sunset cruise air from NYC and travel insurance. Sarah and Nick are spending 11 nights in Iceland with an inside volcano excursion and ice cave excursion, car rental for 6 days and an excursion to the Blue Lagoon with flights from NYC, in late July. Chris and Trish are honeymooning in September and will spend 2 nights in Athens in a 4 star hotel, 4 nights in Mykonos at a 4+star resort in a sea view room, with a jeep excursion, 4 nights in Santorini in a 5 star cliffside resort including a sailing excursion and a Akrotiri and winery visit, with all transportation between islands and to and from the hotels and travel insurance. This couple used points for their flights. In April, Andrea and Joe honeymooned in Bali. With airfare from NYC, they stayed in Sanur for 4 nights in a pool villa then 4 nights in a pool villa in Ubud, took a sunrise hike and visited the Sunset Temple. They ended their honeymoon by spending 6 nights in a pool villa at a 5 star resort at the beach of Seminyak and enjoyed a twilight safari and dinner show. Breakfast was included in all hotels as well as private transfers between all locations. April is a bit off season for Bali, which is why they were able to take this wonderful honeymoon for about $8200. If you had around $10,000 to spend, what could your honeymoon look like? In June, Lauren and Travis are honeymooning for 10 nights in a 2 room cottage with private plunge pool at a boutique resort in Saint Lucia with an all inclusive package, round trip transfers and air from the east coast and travel insurance. Also in June, Andrew and Erica are staying 7 nights in an oceanview roof top studio suite in a 5 star luxury resort in Anguilla with breakfast daily. These honeymooners are flying first class from Philadelphia and have round trip transfers via ferry from St Martin. Travel insurance is also included. In May, Mike and Christine are headed to Hawaii. They’ll spend 5 nights in an oceanview room in a 5 star resort in the Big Island of Hawaii and then 5 nights in an oceanview suite in a 5 star resort in Maui. Breakfast is included daily. Cars are included in both islands as well as an ATV tour, twilight volcano tour, luau and snorkeling tour. All flights are included from the east coast, as well as travel insurance. 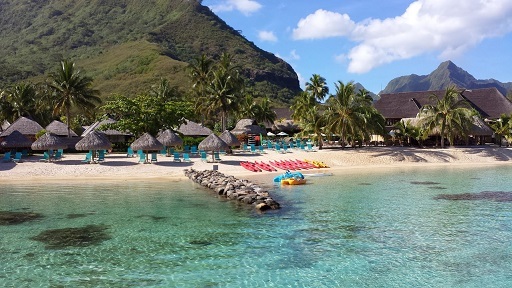 Using points for round trip airline tickets to Tahiti, Frank and Ashley will be honeymooning in Moorea and Bora Bora. They are spending 4 nights in a 5 star resort in Moorea in a garden bungalow with their own private plunge pool. They’ll be taking an ATV tour and going to a dinner show. Then they will be flying to Bora Bora to spend 5 nites at a luxury resort in an overwater bungalow. They’ll have dinner in a renowned restaurant in Bora Bora. Breakfast is included in both resorts as is all transportation between hotels and islands. In September, Brian and Ali will be spending 13 nights in Hawaii. They are spending 7 nights in an oceanview suite in Maui with breakfast daily, a car and a luau before heading to Kauai for 6 nights. 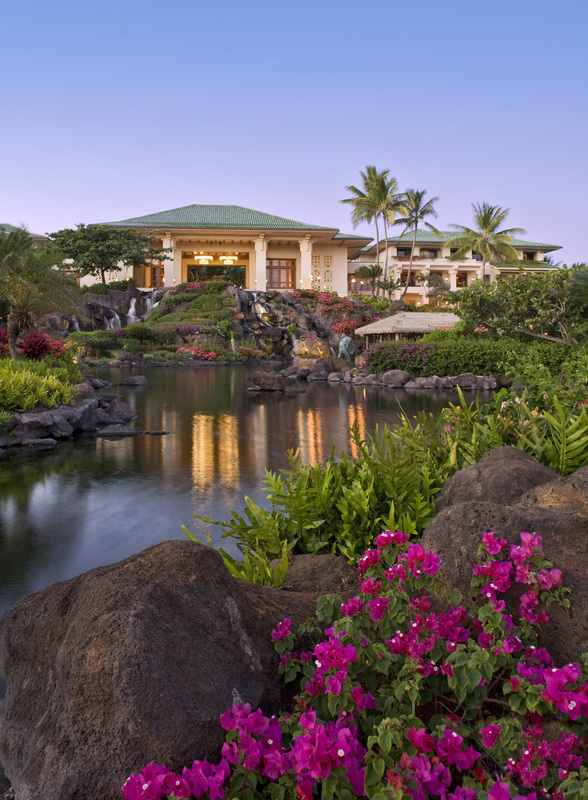 There, they will stay in a ocean view room at a 5 star beachfront resort, with breakfast included daily, a car and a Napali Coast Snorkeling excursion. This includes flights from NYC, all inter-island flights and travel insurance. In mid September, Emily and Chris are going to have the honeymoon of a lifetime in New Zealand and the Cook Islands. Their adventure honeymoon starts once they fly from the east coast to Auckland and then Queenstown (South Island) where they will be spending a week driving and doing nonstop activities from the Milford Sound to Franz Josef Glacier to Christchurch. After flying to Rotorua, in the North Island, they’ll pick up their car and spend 5 nights exploring the North Island and ending in Auckland before flying to the Cook Islands for 4 nights in a beachfront suite in Rarotonga with breakfast daily and a day trip to Aitutaki for some snorkeling and fun. This 17 night action packed honeymoon is coming in just under $12,000 with flights, hotels, cars and tons of activities. In June, Meghan and Kevin are headed to Italy. They are headed to Venice first for 2 nights including a walking tour and an excursion to the most famous islands just off the coast of Venice. Then they are taking a train to Florence where they will pick up a car and drive to the Tuscany region where they are staying in a unique country house for 3 nights where they can do wine tasting and take a cooking class before heading to Rome. They’ll spend 3 nights in a boutique 4+ star hotel in Rome where they will take a walking tour of Rome and the Vatican before heading to the Amalfi Coast. On the way, they’ll stop off at Pompeii before heading to Sorrento to spend 3 nights in a 5 star property in a sea view room. They’ll take a tour of Capri before heading home. With flights from NYC transfers and breakfast daily, this package was just around $12,000. If your budget was around $15,000, what would your honeymoon look like? Italy – Navni and Varun are spending 2 full weeks in Italy in late June. They are starting in Venice for 3 nights including a private sightseeing tour and a private gondola ride before heading to Tuscany by train. They are spending 4 nights in a villa just outside of Siena with a cooking class and winery tour. From Siena, they are taking the train to Rome for 4 nights in a luxurious boutique hotel near the Spanish Steps including 2 private sightseeing tours. They will then head to the Amalfi Coast and spend 5 nights in a seaside resort in Positano. On the way, they’ll stop in Pompeii and also take a private driver tour of the Amalfi Coast and a full day excursion to Capri. Tahiti- Alex and Robin are honeymooning in Tahiti in September. They are spending 2 nights in Tahiti, 5 in Moorea and then 5 nights in an overwater bungalow in Bora Bora in 4-5 star resorts. They are taking a waterfall jeep tour in Tahiti, an ATV tour and dinner show in Moorea, a helmet dive, a lagoon snorkel cruise with lunch on a private island and a dinner at Bloody Marys. Luxury in Bali– Catherine and Doug are doing ultimate luxury in Bali starting in Ubud, with private tours, heading to a private island resort for 4 nights and then ending at a luxury resort in Jimbaran Bay. They used miles for their international flights but all other transfers, flights and excursions are included. If you are looking for absolute luxury, we can help too. 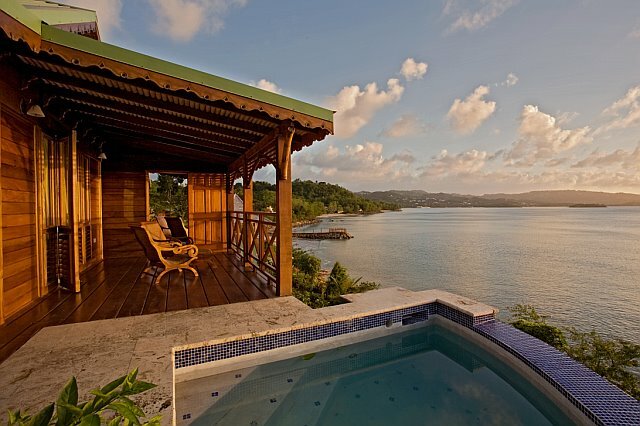 We’ve helped out clients plan honeymoons of up to $30,000. Basically the sky is the limit! My Vacation Lady tries to work within your budget as much as possible, but we have a certain standard that we adhere to when recommending hotels to our clients and we won’t recommend a hotel or an itinerary that doesn’t meet that standard. We’ll be the first to tell you that your honeymoon should be special and we are the right honeymoon specialists to make it special. If you are looking for a high quality honeymoon experience, contact us to set up your honeymoon consultation. Once you do, you’ll see why My Vacation Lady is the top rated honeymoon specialist in New Jersey according to the couples on Wedding Wire .